Brian Kaser is Senior Counsel with ROLF and has practiced law since 1980 with large and mid-size law firms. Before merging his practice with ROLF in 2013, he operated a well-respected boutique health care firm, and was the health care group leader in a firm of approximately 90 lawyers. For many years his practice has focused on the needs of three groups of clients: elder service organizations, health care providers of all types, and non-profit corporations and trusts. 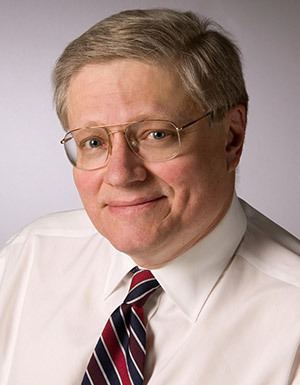 After several years as an adjunct professor of health care law, in 2013 Brian was appointed Practitioner in Residence at the Michigan State University College of Law, teaching in the health care field. Brian is admitted to practice law in any state court in Michigan, and he has appeared before the Michigan Supreme Court and Court of Appeals in health care, insurance and other matters. Brian is a 1978 honors graduate of the Boston University College of Law. Brian has authored a chapter on the attorney/client privilege in the Health Care Compliance Manual, a publication of the Lexis/Nexis group. In 2004-2006 Brian served the American Association of Homes and Services for the Aging (now Leading Age) on its Financing Cabinet. The Cabinet recommended, and the Board of Directors approved, Leading Age’s policy initiative for funding long term care through the 21st century. Brian has spoken for hundreds of engagements over the years for healthcare and related professional organizations, including, but not limited to, American Health Lawyers Association, Leading Age, Leading Age Michigan, Health Care Association of Michigan, and Michigan Health & Hospital Association.